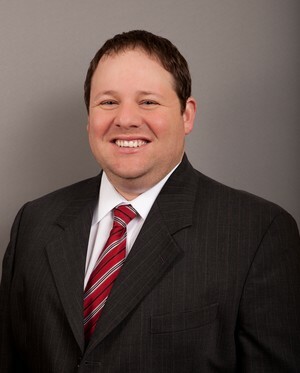 With 15 years of working at Harvest Financial, clients investing with Vice President Jason Messick can expect him to apply an abundance of applicable experience to create and execute wealth management strategies. Licensed since 1996, Jason concentrates on individual portfolio management through the use of mutual funds, individual stocks and bonds. Jason ensures he is meeting clients’ investment needs by tailoring each portfolio based on their individual objectives. To that end, Jason and partner Rick DiBiase established the DiBiase/Messick Group, a group of associates within Harvest Financial dedicated to exceptional client services. Under Jason’s direction, the DiBiase/Messick Group manages approximately $160 million in assets and is focused on providing strong client support and detailed investment research while consistently communicating with clients to manage their goals and expectations. Federated Investors recently honored Jason for his professional accomplishments. As a member of the Pittsburgh Stock and & Bond Association, Jason strives to further his professional development in the securities industry. He regularly conducts educational seminars for clients, and he has participated in a program presented to the Pittsburgh Dental Association. He co-hosted the weekly call-in radio show, “It’s Your Money,” on WJAS from 1996-2003. In that capacity, Jason offered investment advice to listeners and answered their financial questions. Jason graduated from Slippery Rock University with a Bachelor of Science degree in business administration with a finance major.